For husbands, there is sacrificial love in our purpose and purpose in our sacrifice. We give up ourselves to love our wives. Jesus is our example here, and he gave up everything. His purpose? To make us holy and beautiful to God. 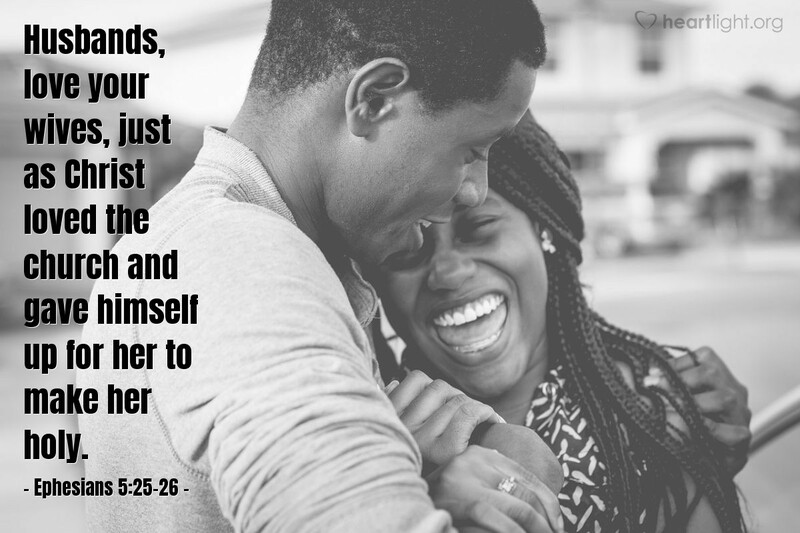 Our motives are to be equally as sacrificial and pure in surrendering our rights to bless and love our wives. As Paul reminds us in Ephesians 5:21, we too are to submit, but this does not mean spinelessness, it means service and sacrifice to bless and bring glory to Christ. Holy God, help our families to be full of love and may this begin with me, today, in my family. In Jesus' name I pray. Amen.